Timex Easy Reader T20441 to niesamowicie modny zegarek damski z kolekcji Classic. Materiał, z którego wykonana jest koperta to stal nierdzewna, a przepiękny biały kolor tarczy nadaje zegarkowi jeszcze większego uroku. Jeżeli chodzi o wodoszczelność, zegarek jest odporny do 30 metrów. Oznacza to iż może wytrzymać lekkie zachlapania lub deszcz. Zegarek jest wysyłany z 2-letnią grawancją i oryginalnym opakowaniem od producenta. A clear winner! Easy to read dial and an independent back light makes this watch a joy to use, morning ,noon and night. Has a good lenth strap too. Purchased this watch for my wife. Last a long time, basically a quality watch that will be well used. This is exactly the watch I wanted: it is just a watch, not a jewel. It is indeed very easy to read. The invaluable feature is the light which one simple push of the knob turns on. My only slight disappointment was that inside the wrist band it reads:Genuine leather upper, which probably means that the lower part is not leather and possibly wont last as long as leather. Nevertheless I am rating the watch overall as excellent. And... the presentation in the box was very pleasant, even though this is not an expensive item. Great watch, as described and as described. As your blog says its easy to read and delivery was fast the only down side is that there is no metal expanding bracelet. Very easy to order exactly what I wanted. Delivery time was fast. No need to look anywhere else for watches. With my previous watch having died, I was lost without one. Having had this model before, I decided to purchase another as I knew it to be a good one - a well known make with a good reputation. I like the clear, easy to read dial so I dont have to squint to read the time. The illumination feature has proved really useful in the past, especially for example in the theatre when I needed to check the time. I would have preferred a silver dial to a white one, but I really couldnt find one for a comparable price, and the white dial is not so bad really. The watch is neat and great for everyday use, and it is excellent value for money. 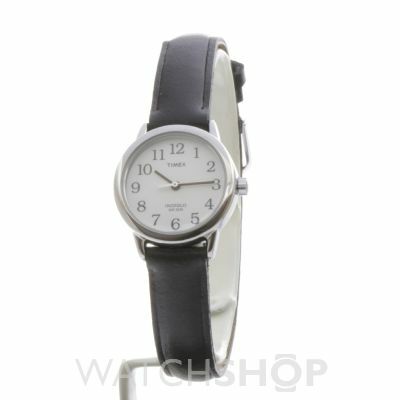 Great item as it has the light & bigger numerals on the dial for older people but it is still a smart looking timepiece. Very nice watch - certainly a bargain. Only downside is the strap is a little long for me. Just bought a Timex iniglo watch, a smashing, easy to read, everyday watch. Most impressed with the service too, kept me informed every stage of delivery - thank you. Easy read everyday watch. Love the addition of a light so reading in poor light is easy. Nice length of strap. Numbers large and clear which is perfect as my eyesight is not great. Perfect, I found exactly the type of watch I imagined buying, its small, sleek and does the job. Love the back-light too! Loved this watch. It was my third. 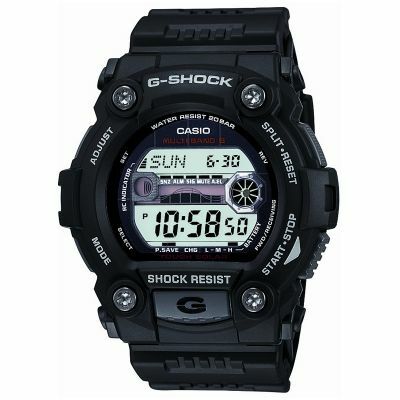 Its great to be able to see the time in the dark and the face is very clear and readable. However, the strap is quite stiff to start with and unfortunately so stiff that it came undone while I was out and dropped off. So I lost the watch after only three weeks! The instructions to me were very clear I would like a watch for Christmas, it has to have a white face, a second hand, leather strap, water resistance and clear numbers. I personally have a favourite brand of watch, so I looked at this make and found a ladies watch at what I thought was a reasonable price, but it did not have a second hand. Dilema....., because it was a known quality brand did the secondhand matter? It clearly did not meet the specification, so I looked again but without a brand in mind. Imagine my absolute surprise when I found a Timex watch, the brand of my youth, that fitted the specification exactly. But more to the point it was £50 cheaper than the other watch that I had seen!. 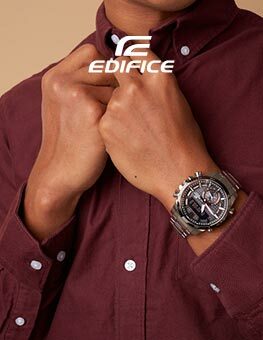 The hidden extra was the Indiglo feature, press the bezel and the whole face lights up, backlit from inside the watch, magic! And now my wife can tell the time, without having to find a pair of glasses first, as this realy does have an easy to read face and it works in the dark! It was good to find a trusted brand that offered a no nonsense, uncluttered, no bling product. Thank you! I am extremely pleased with my watch. I now cannot get out to shop around, but this has its compensations when you can look through such a good array of watches and find one that fits the bill! This is spot on! Thank you. Fast efficient service. Watch is a present for my elderly mother in law and looks just the ticket. Fantastic service and really pleased with my watch. No hesitation in ordering from you again. I bought the watch for my daughter and it arrived very quickly and she is pleased with it. Being of limited sight, I was seeking a watch which had a clear dial and arabic numerals for each hour. This Timex proved to be exactly suitable and reminds me of my first watch, aged 10. Excellent quality watch. The size is big enough to see without looking too big on your wrist. The watch was a gift and the receiver loves it. I am really pleased with this watch. I wanted something I could see easily, that had numbers rather than dots and I also wanted a second hand. It is for me to use at work when I need precise timings. The strap is easily adjustable, the watch face large enough and one thing I particularly like is the back light - absolutely wonderful at night. Overall, I would recommend this watch and would most certainly buy another. Perfect watch ,does what it says easy to read no fussy dials or dates, stylish ,accurate and very god value, just perfect. Great product - brought as a replacement for another, similar that has lsted for around 10 years. Hope this lasts as long! Very clear face and back light make it easy to see the time even at night time and without my glasses. A lovely watch and I love the backlight feature. Delivery was very speedy. It fits beautifully and has been admired by my friends. This is a lovely time piece, it looks smart and sleek, its functional, the light is brilliant and the fact that it is water resistant. My Daughter loves its simplicity. Keeps perfect time. Very pleased with this product and would recommend it to others. I was thrilled with all aspects of my order for Timex easy ready watch. Easy ordering, such a good selection to choose from and swift delivery. The watch fits well and - being an older person ! I can read the face easily. Great watch which I bought as a replacement for a previous almost identical one which has served me for 10 years until I broke it! Love the back light very useful in the dark, love the clear easy read face which is important when like me you need reading glasses I can read this easily without. Prefer the easy button to change the time and proper hands. Its neat and unobtrusive style makes it a watch I never need to change and because it is waterproof I dont need to keep removing it - I spend a lot of time with my hands in water. I dont have a bad thing to say about it because for its cost it is an excellent value, quality watch which suits me and my lifestyle perfectly. The only thing that could improve this watch is a nylon strap, because I get the watch wet on a regular basis the strap eventually breaks and then I replace it with nylon. I love this watch, it has a clear dial, a night light and its waterproof 25m whats not to love! I have been wearing it everyday since I bought it in August. Its brilliant for every day wear, looks elegant and feels comfortable. I dont see any disadvantages and I would definitely recommend it to a friend! Very pleased with watch. Exactly as described on screen and fits beautifully. Excellent value. Attractively designed and easy to read , especially in the middle of the night! Love the watch can see it clearly and a bonus having the light up option. I work in a primary school so great for children to see when teaching time! Very happy with my purchase. A lovely watch and love the glow function on the watch. Great value at the price and has a nice finish to it. I bought this watch for my wife and think it looks good. It is good value form money and has a clear readable dial. Easy to see,clear face and good for my mother who has limited vision. 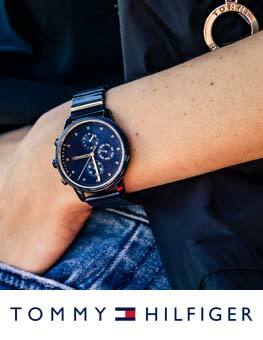 Looks fashionable too.Nice slim black leather strap. Only ordered this yesterday and just over 24hrs later it has arrived, so well done on a fast and efficient service. Watch looks great and is a lovely fit. Face/dial is very clear and all together a nice neat looking watch that looks more expensive than the price paid. pefect. easy to read without my glasses. love the way it lights up. could not have picked better. This was bought as a gift for my sister. She asked for a ladies watch with a leather strap and an easy to read face and I felt this fitted the bill perfectly. It is also waterproof to 30m and has the indiglo light up feature. It comes in a choice of colours and is really good value. It arrived in a presentation box and Im sure shell be delighted with it. This watch is exactly what I wanted. It has a white background with clear numerics and a silver surround. The numbers are so clear and sharp I can read it without glasses. In the dark, if the winder button is pressed, the watch face becomes illuminous and lights up. The hands of the watch are black with a silver second hand. The watch strap is sturdy black leather with plenty of holes for different fits. There was no instruction booklet enclosed but after adjusting the time, the watch started working straight away. I ordered this watch on Friday evening and received it, packaged well on Monday morning. Im very impressed with the watch & the service. 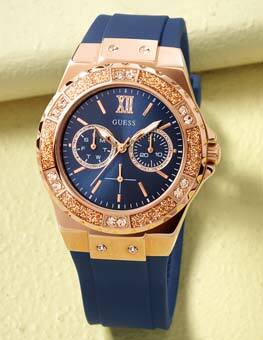 The watch shape and style is elegant enough to be feminine but has a face that is easy to read. Great watch at a great price. Especially liked the way the face lights up when you press the winder knob great for dull light/night. Looks stylish and expensive. The watch is perfect - exactly what I wanted. Lovely clear face - I can even see it without my glasses. The face light was a bonus; didn't read the description properly! Excellent product. Excellent - exactly what I was looking for. Clear, bright face - including backlighting which was a bonus - perfect for reading without my glasses! Very smart, clean appearance. Great watch, just what I wanted - clear, bright display - easily read without my glasses!! Dzięki ponad 150-letniej historii jako zegarmistrz, Timex jest firmą, która na pewno zna się w pełni na zegarkach. Jako pierwsza w Ameryce firma produkująca zegarki, Timex wcześnie wyrobił sobie dobre imię w branży, a ich marka jest po dzisiejszy dzień powszechnie znana i rozpoznawalna. Firma zaczęła swoja historię jeszcze w roku 1850. W tym momencie była znana jako Waterbury Clock. Byli pierwszą firmą produkującą zegary przystępne dla zwykłych ludzi. Ich wszelakie projekty zegarów były niewiarygodnie przemyślane oraz piękne i szybko stały się bardzo popularne w Ameryce. 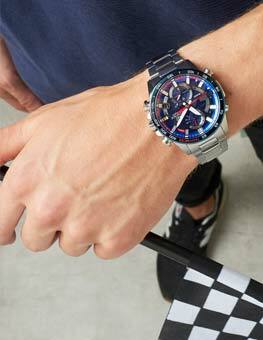 Dziś Timex produkuje pełną gamę męskich i damskich zegarków w wielu stylach. Od inspirowanych nojnowszymi trendami mody do czasomierzy ultra-eleganckch, oszałamiając nas wyborem i pięknem swoich projektów. Watch Shop jest oficjalnym detalistą Timex.